Good choice! Subscribing to get your Superfood Smoothie eBook means you can soon be enjoying delicious, nutritious superfood smoothies. 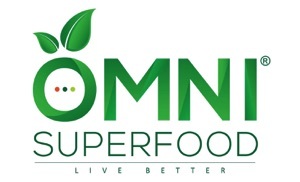 As an OMNI Superfood subscriber, you can also get discounts and be the first to know if we do anything else cool to do with superfood. Be generous – share the signup link with 2 people who you think might benefit from superfood nutrition in their lives. If they choose to sign up I’ll send them the eBook for free, as well as the bonus recipes that are coming up. You (and they) have nothing to lose. 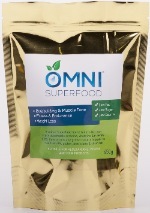 Let’s turn more people on to superfoods together! 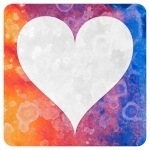 Just click this magic link to open an email that you can customise and send yourself. Easy huh? Now, just follow the link in the email I sent you just now to confirm your subscription (we need to do this to make sure it’s the right email address). As soon as you confirm, you’ll get the download link for your eBook sent straight to you. Be sure to check your inbox and junk folders just in case. Did you send that email to your friends? Very cool. 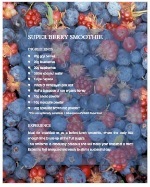 Here’s a bonus recipe for you: the fabulous Super Berry Smoothie! This is a power-packed get-your-morning-off-to-a-super-start smoothie, with more antioxidants than you can shake a stick at. You owe it to yourself to try it at least once. Click here to open the bonus recipe in a new window.